OLD PINE is a cozy, textured cowl, perfect for pairing two beautiful skeins of hand dyed yarn. 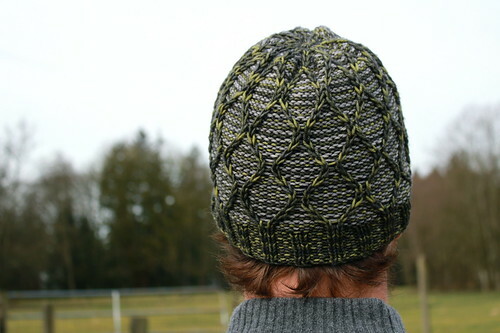 The combination of simple stockinette, purl ridges and yarn overs create a stunning, rippled effect. Twisted rib brings the top in for a closer fit while the rippled stitch pattern drapes warmly and comfortably. With endless colour pairings Old Pine is a versatile wardrobe staple for Spring, Autumn and Winter. If you love Old Pine be sure to check out Riverbank. 22 sts and 28 rows over 10cm/4” in stockinette stitch. 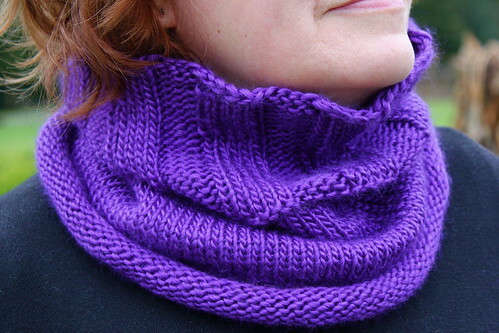 Swatches should be made in the round, using larger needles, and blocked. This pattern is both written and charted. I first began knitting Brunswick late last Fall, right before the big move! While I had hoped to have it ready soon after, I chose to take a bit of a hiatus from the design world as I reconfigured my business and my life in our new place. I've always knit with Fall and Winter in mind and even though I took a break from self publishing patterns, I didn't stop creating them! Brunswick is the first in handful of new designs I will be releasing over the next few months. 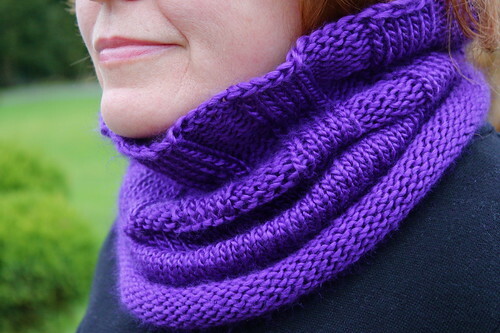 Brunswick is an intuitive, textured cowl that is fun to knit and comfy to wear. Made with the amazing Sweet Fiber Cashmere Aran, Brunswick is everything a cowl should be, soft, warm, and incredibly luxurious. The four round repeat is easy to memorize and quick to achieve, you’ll find yourself wrapped up in your new cowl in no time! This pattern includes written instruction for both a single loop and a double loop version (pictured). Aren't they cute? My little brother and favourite knitwear model are getting married! Yarn Kits for the full size version can be found here in the online shop. A special sale price is available until Sunday, November 8th 11:59 pst. I've added the option for dyed to order Cashmere Aran to the online shop! Each order takes approximately 3 weeks from order date to ship. I've stockpiled a ton of the base yarn and fully expect to have it to you sooner than estimated. Below you'll find the selection of colourways currently available. Sweet Fiber Accessories E-book Launch! Set along the banks of the Fraser River in historic Fort Langley, this collection captures the spirit of the West Coast in seven cool weather knits. Twisting cables, deep ribs, traveling lace and textured stitches bring your favourite worsted weight hand dyes to life as cozy cowls, warm toques and an asymmetrical lace shawl. All of the patterns include both written and charted instruction. The entire e-book is available for purchase on Ravelry, as well as individual pattern downloads for those of you who just want a few. Be sure to join us in our Ravelry Group to discuss which patterns you plan to make and to share pictures of your FOs when you're done! 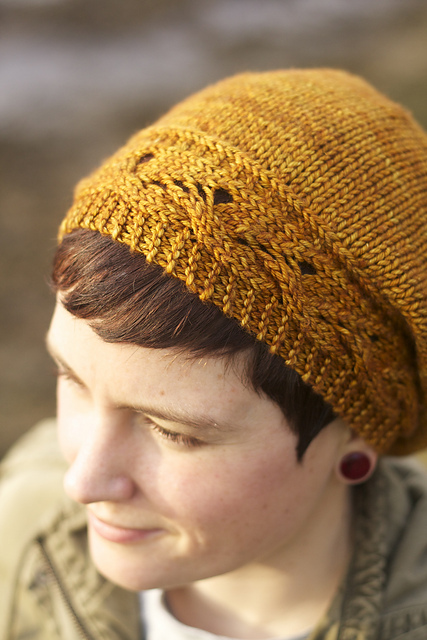 The entire collection has been designed with our two favourite worsted weight yarns! Our Merino Twist Worsted consists of 100% superwash merino and our Cashmerino Worsted is created with an extra special blend of superwash merino, cashmere and nylon. Both have 180 meters / 200 yards per 115 gram skein and are entirely interchangeable with one another. We've updated our online shop to coincide with the release of the new e-book. If you don't see your favourite colourway available, don't worry - we're already busy dyeing more! Be sure to join our mailing list to stay informed when new stock is added to the shop. Click the pictures below for more information about each pattern. Next week we will be debuting three new designs by three Canadian designers at our Stitches West booth (#1041 & 1041). Each design will be a pre-release available for purchase exclusively at our booth (while supplies last). The patterns won't be available elsewhere until April 1st 2013. "Just like pumpkin pie means a sweet treat and a gathering of family, this slouchy confection combines two of my favorite things: cables and lace! Once the brim is complete it is smooth sailing, just some simple stockinette to keep you cozy." At the show we'll also have copies of Tin Can Knit's first published book - 9 Months of Knitting available for purchase. For more information about Tin Can Knits' designs and books check them out on Ravelry or visit their website here. 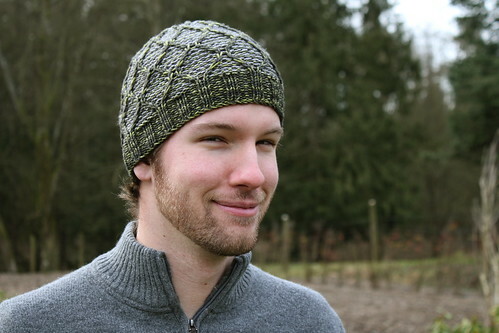 "This textural hat features a simple repeating pattern reminiscent of raindrops. 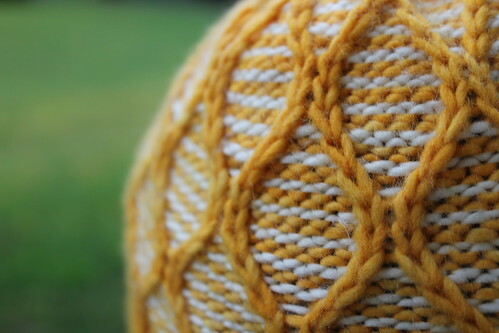 Using a unique combination of stitches to mimic the look of a cabled honey comb stitch without the need of a cable needle, this stitch pattern only looks difficult. Inspired by the rainy weather indicative of west coast winters, this hat satisfies both form and function." At the show we'll also have copies of Jane Richmond's first published book - ISLAND available for purchase. For more information about Jane Richmond's designs and book you can find her on Ravelry or visit her website here. For more information about Melissa Thomson's designs you can find her on Ravelry or visit her blog here. 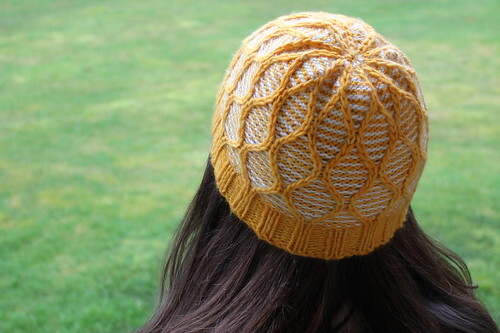 Sweet Fiber Designs has just released Courtyard, a new hat pattern inspired by the classic courtyard motifs of traveling vines, iron gates and old stone walkways. Perfect for combining your favourite colours in worsted weight yarn. Yellow & White Version uses one skein of Malabrigo in Cadmium and one skein of Sweet Fiber Yarns Sweet Merino in natural. Green & Grey version uses Sweet Fiber Yarns Cashmerino Worsted in the Olivine and Smoke colourways. Cast on 90 stitches. Join in round, marking the beginning of the round with a stitch marker. Knit every round until piece measures 9 inches from cast on edge. *Knit 5, Purl 5* - repeat to end of round. Repeat this last row until piece measures 14 inches from cast on edge. Cast off in pattern (knit the knit stitches and purl the purl stitches). Sew in ends. Enjoy! This pattern and the items made from it are intended for private use only and may not be distributed for commercial purposes without the written consent of the designer.